Yes, you did read that right, the Library Books got Bed Bugs last December at the University of Washington, Tacoma Library. The Termite Control Chandler team had not run across this complaint before and it was kind of surprising! So there are two questions that come to mind: Where did the bed bugs come from? How do you get rid of Bed Bugs in Books? The past two years have been record setting when it comes to bed bug infestations and colleges are one of the hardest hit locations for the little blood suckers. It stands to reason that since people read in bed, the books would be returned to the library with bed bugs in the binding. Bed Bugs love dark places and so once the bugs started breeding the hatchlings would hide in more bindings. Bed Bugs are also notorious hitchhikers, so they would attach themselves to back packs, book bags, and purses which would allow greater access to more library books. The Holiday travel that takes place in the fall and winter could further exacerbate the problem so that it is almost ironic that there aren’t more reports of Bed Bugs in library books. So, that leaves us with question number two; how do you get rid of them? Library books are expensive and college books even more-so. I have to admit that spraying the books would destroy them if it was to be effective. Heat is a second option, often used to rid homes and businesses of the offending little creatures, but that would also damage the books. The pest management team bagged the infested library books and froze them. Should you run into a problem with Bed Bugs in your home, school or business, don’t take matters into your own hands, call a professional. 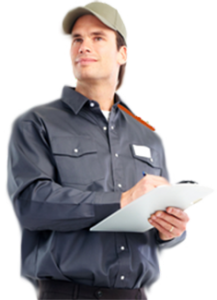 Termite Control Glendale is a full service pest management company offering free termite inspections to new clients as well as a host of other services. There are always more treatment options than meet the eye, just as there are often more insects than you can see. Termite Control Chandler is always available to answer any questions you may have for pest control options in your home or business. Don’t hesitate to contact us for any concerns about Arizona pests. An Appointment has been requested. How Often Should We Get A Termite Inspection?